← Welcome to the Reformation500 Website! The hero of the Lego movie is a plain, boring, construction worker named Emmet who lives life by following all of the rules–rules that come in the form of those awesome exploded diagrams included in every set of Lego, (incidentally, exploded diagrams were a perspectival innovation of the Renaissance … and the Renaissance was the fertile intellectual ground of the Reformation … a mere coincidence in the Lego Movie? I think not.) 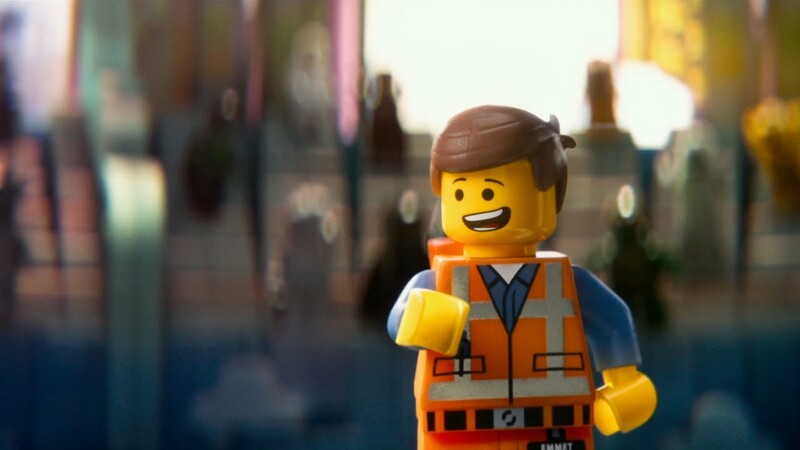 Through a quirky turn of events early in the movie, Emmet is suddenly regarded by an elite group of creative “master builders” as “the Special.” Unlikely as it may seem, the bland protagonist is “the greatest, most talented, most interesting, most important person of all time”–and on him the future of the world depends. But Emmet never exhibits the creative talent of the other “master builders”–he never grows into the Neo of the Matrix but stays ordinary and plain (though hilarious). One of the surprising conclusions is that the specialness of “the Special” that saves the world is not some elite, glamorous, super-ability but lies in his ability to value the ordinary, the common, and the mundane. In the end, the world is not saved by the sparkly, imaginative, out-of-the-box talent of the “master builders” but in the regular unspecial creations of ordinary folk working in concert with one another. Obviously, there is much more to the movie–crazy Lego constructions, hilarious jokes, Will Ferrel, Batman, Pirates, rainbows, kittens, etc. While these all have obvious connections to the Reformation (ahem), I will focus on just this one idea: the most far-reaching impact of the Reformation was its subversion of the special, its redefinition of the religious life, its sacralization of the secular. And it did this through a single, brilliant assertion: neither ordination nor religious vows make one spiritual or religious; rather, it is baptism and faith. Against prevalent piety, the laity are spiritual. The laity are the priesthood. In the late-medieval context, Christendom could be divided into what was essentially a two-tiered Christianity. The top tier was the spiritual elite represented by members of the monastic life and, by derivation, the clerical office. After martyrdom, monasticism was long regarded as the religious ideal of Christianity. In an attempt to embody the more sacrificial, radical tenets in the Gospels, the monastic distinguished himself from the ordinary Christian by his vows of poverty, chastity, and obedience. The Ten Commandments were important, but “if you would be perfect” said the Lord, “sell all you have, give it to the poor, and come follow me.” To be fair, the monastic usually did not make such a distinction between the ordinary Christian and the “perfect”; he regarded his asceticism as intrinsic to the call to discipleship. For the monk, genuine Christianity looked like monasticism. It would be the church’s conscience, an ideal in the midst of Christian mediocrity. As such, monasticism was frequently both the catalyst and benchmark for reform. More often than not reform was contained by simply establishing a new monastic order, but sometimes it would spill over into the broader church. For example, the Cluniac reforms of the 10th century would among other things bring the mandatory vow of celibacy into the priesthood, giving priests a deeper share in the same spiritual estate. The laity too, when seeking a more religious, devoted life, approached monasticism as the standard. In the fifteenth and sixteenth centuries, lay piety grew into a “modern devotion” (devotio moderna), modeling itself after certain habits and practices found in the monastery. In short, religious life was not lay life. The common and ordinary was de facto not special. It was thus a revolutionary assertion when Martin Luther (an Augustinian monk!) argued that all ordinary Christians were spiritual and religious. Only faith made one spiritual, and the life of the laity was a true religious sacrifice and worship when shaped by God’s commandments. Living as a faithful father or mother, an obedient worker, a responsible citizen or temporal ruler was the real religious life, more pleasing to God than all the vows and daily offices together. Monasticism was neither the ideal nor the moral mediator for the church. Likewise the priesthood. The ordinary Christian did not need a priesthood to stand in the breech between the common and the holy. In baptism, all Christians participate in a spiritual priesthood (1 Peter 2:9) having direct access to God by faith. The result was a genuine lay piety with secular life as a self-referential spirituality. The humdrum qua humdrum was special. Everyday vocations were divine callings. When coordinated with other vocations and ordinary works, the neighbor was served and loved and the community flourished. The body of Christ had many members, each with its own function and role. Even the weakest and least was to be honored as a special and important member of the same body of Christ. Such inversion of the spiritual standard of the Special was not all rainbows and kittens, however. As the secular increasingly defined itself on its own terms, nothing prevented it from cashing the divine blank check of its own spiritual worth. Economic, political, and military conquest could be justified as its divine right and inheritance. Now it is not just the church that needs a reformation, but the world. Unfortunately, unlike the theme song of the Lego Movie, everything is not awesome. The Reformation’s specialness of the ordinary was contingent on faith in the divine Special of God’s Son. Without that, the ordinary loses its movie magic and the world is in search of a savior once again. This entry was posted in Blog and tagged Erik Herrmann, Laity, Martin Luther, Monasticism, Priesthood of Baptized. Bookmark the permalink.